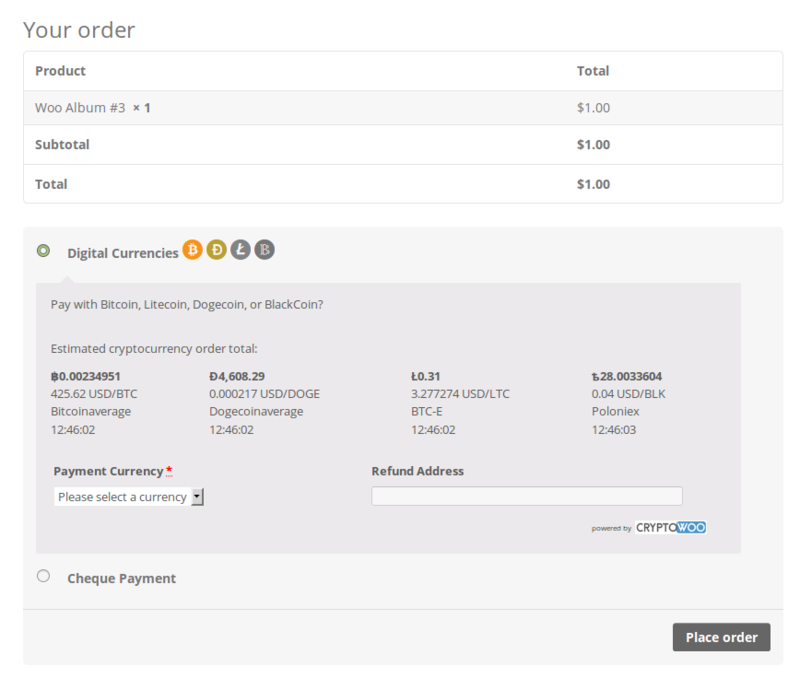 Seamless integration of Bitcoin, Dogecoin, and Litecoin payments into WooCommerce with fully automated payment confirmation. A PERPETUAL license entitles you to updates and support without a time limitation. Pay once and stop worrying about license renewals! 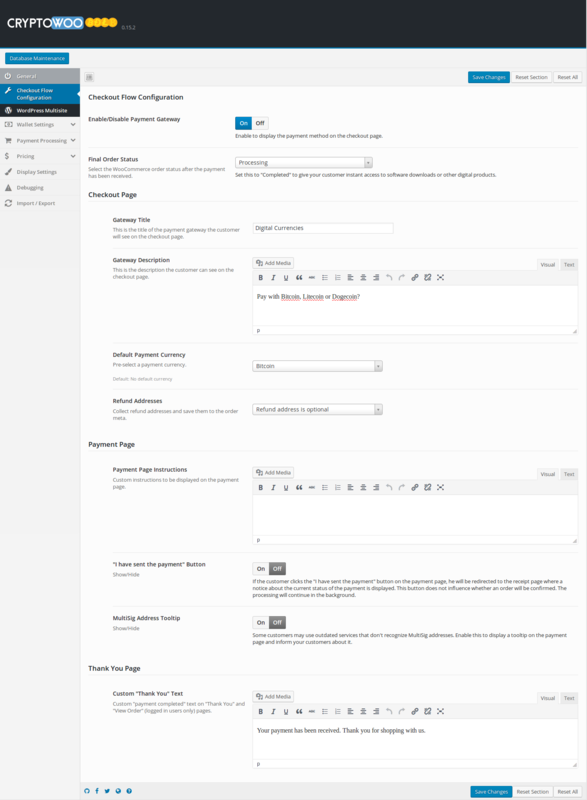 Keep the customer on your website: No redirection to third party websites during checkout. Keep your data: No need to give customer data to a third party. 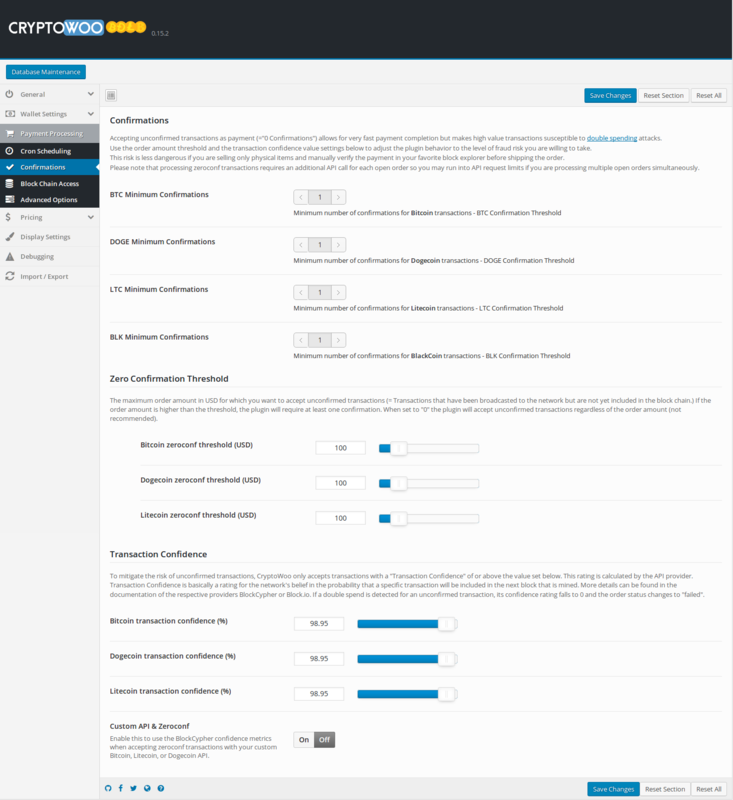 Optional payment completion at zero confirmations using transaction confidence metrics. 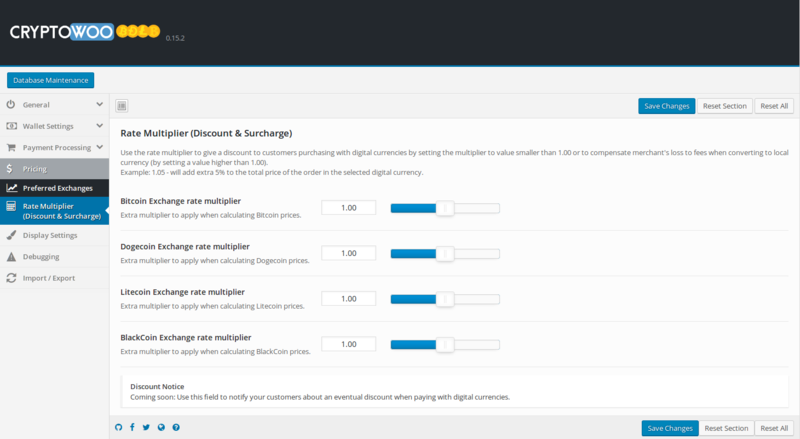 Set per-currency maximum order amount thresholds for zeroconf payments. Collect refund addresses during checkout. 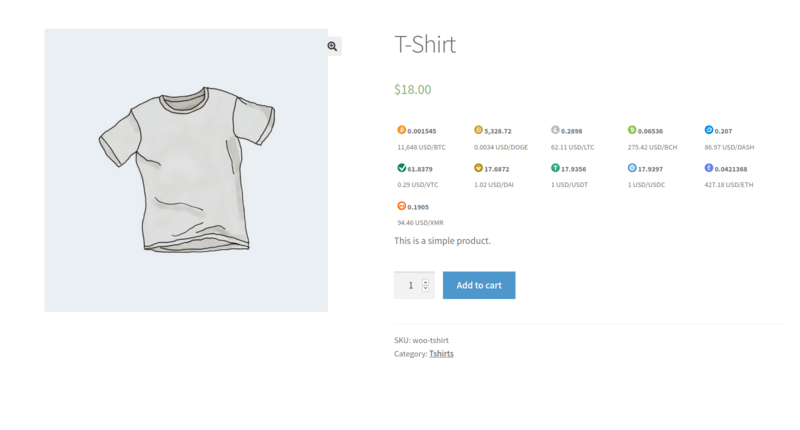 Support for all WooCommerce store currencies except Lao KIP. Apply discounts and markups individually for each currency. 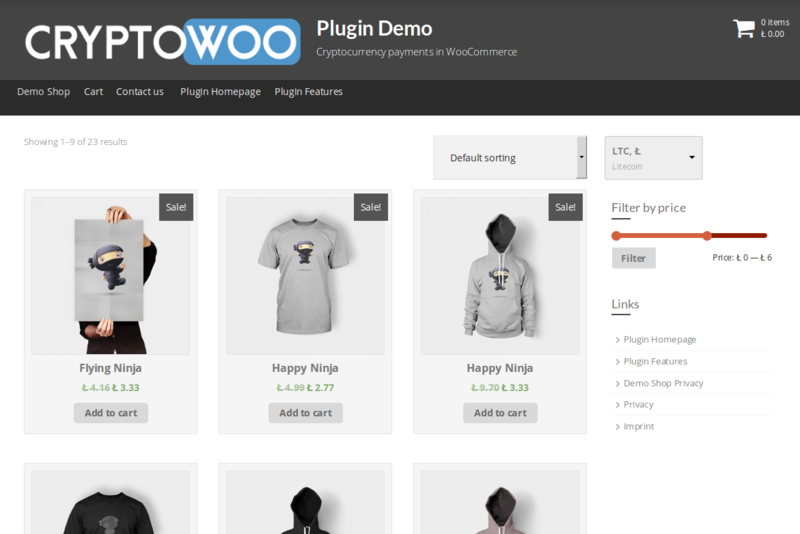 Integrated into WooCommerce order e-Mails and admin backend. 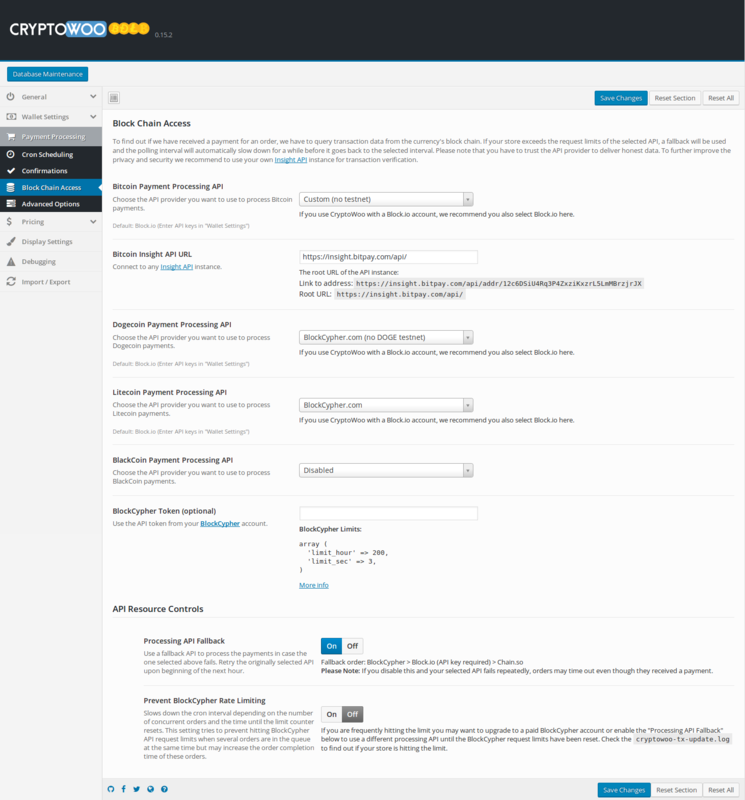 You need to have at least PHP version 5.6 with the extensions cURL and GMP enabled. 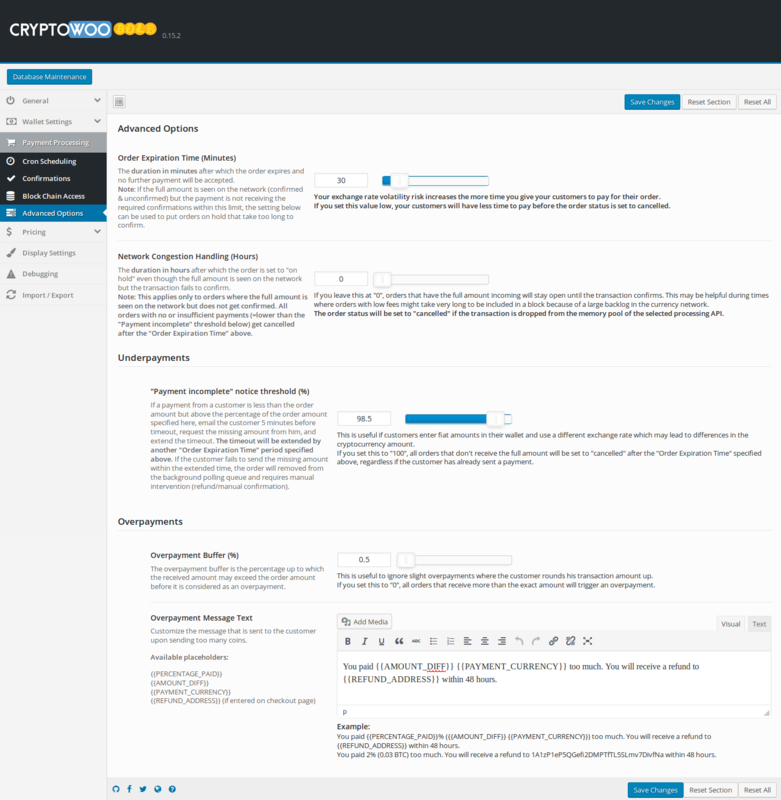 Install our requirements check plugin to evaluate the basic compatibility of your environment with CryptoWoo. 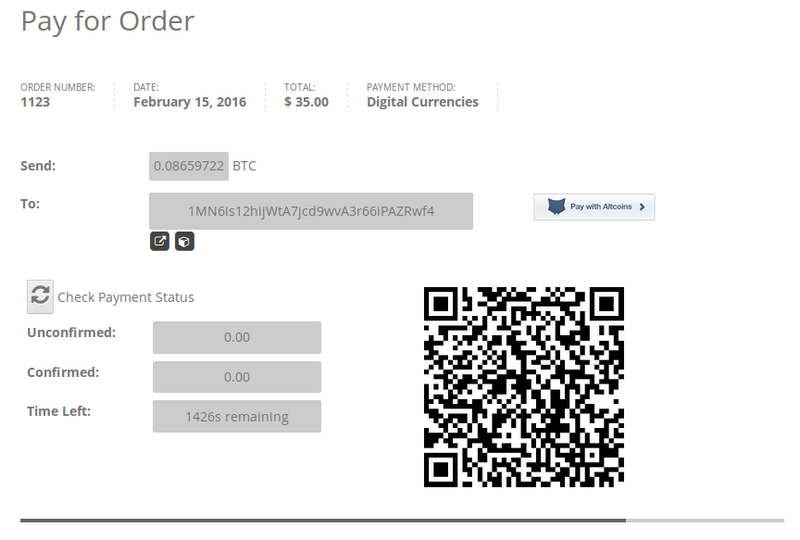 Don’t want to use Block.io’s online wallet? 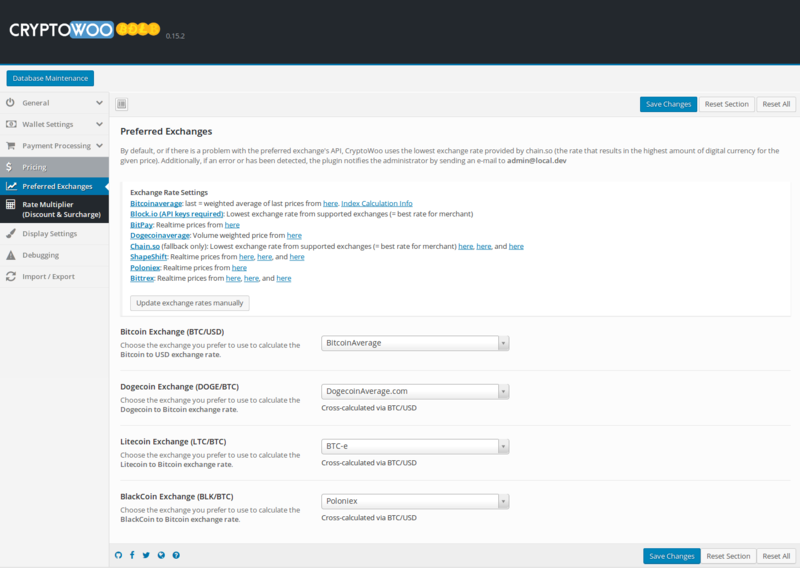 Get the HD Wallet Add-on and receive payments directly to your own wallet! A CryptoWoo PERPETUAL license entitles you to updates and support without a time limitation. A Premium license includes access to the source code repository and the possibility to influence the implementation of new features and improvements.